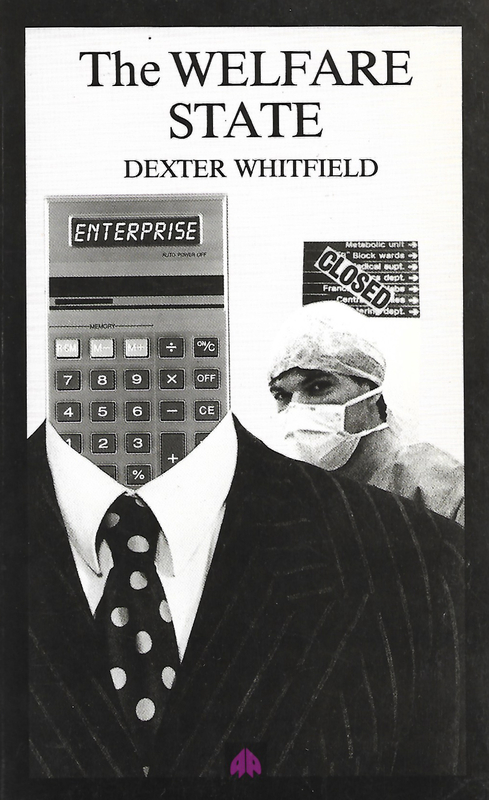 Books and articles by Dexter Whitfield published externally. Published on 19th November 2006. Last updated 6th June 2017. Increasingly governments are looking to private sector actors to invest in infrastructure projects. An emergent mechanism for such investment is the market in PPP equity. This is an aspect of PPPs that has to date had little empirical attention. This paper reports on the size and scope of the market in PPP equity sales within the UK. In the process, the nature of PPP projects and the existing rationales for the policy are critiqued. The paper concludes by laying out a number of potential research agendas focused on PPP equity sales including a call for reassessing theoretical perspectives. Submission by Dexter Whitfield on the critical importance and need for alternatives to privatisation. A demand for public ownership alone is inadequate. It must be accompanied by proposals to radically change the way public services are managed and held democratically accountable. Otherwise, public ownership alone will ultimately lead to re-privatisation later. A chapter by Dexter Whitfield in Privates Kapital für soziale Dienste? Wirkungsorientiertes Investment und seine Folgen für die Soziale Arbeit. Hrsg. von Monika Burmester, Emma Dowling & Norbert Wohlfahrt. 2017. Vlll, 180 Seiten. Kt. ISBN 9783834017505, €19.80 Grundlagen der Sozialen Arbeit Band 41, Schneider Verlag Hohengehren. The English version of the chapter can be downloaded. Table of Contents (German). Privates Kapital fur soziale Dienste? The presentation at the University of Nottingham described the dynamic forces, public sector ‘transformation’ and set out alternative strategies to regenerate public services. The event on 16 September 2015 was jointly organised by the Bertrand Russell Peace Foundation, Spokesman Books, the Centre of the Study of Social and Global Justice and the University and College Union. 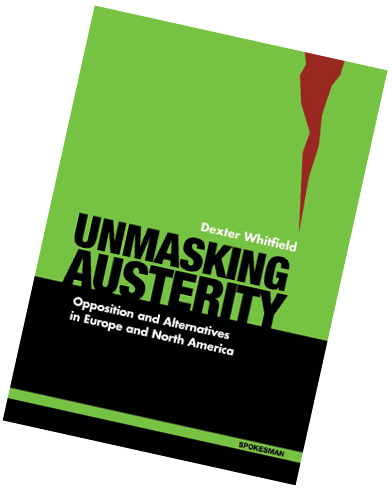 Unmasking Austerity: Opposition and Alternatives in Europe and North America exposes how austerity policies have fuelled the fire of recession rather than stimulated growth. It identifies key lessons from organising and action against such policies, and urges a rethink of trade union, community and social movement strategies to overcome austerity. Unmasking Austerity examines the deeper causes of the financial crisis, and exposes the manufactured crises which are being used to dismantle hard-earned labour rights and the welfare state. A radical alternative strategy includes economic stimulus, reconstruction of public services, faster fundamental reform of banks and financial markets, the elimination of corporate welfare that enriches big business, and strategies to increase labour’s share of national income. We need to draw lessons from the strategies used to oppose austerity policies and neoliberal ‘transformation’ of public services. New challenges include reversing the decline in labour share of national income and the slow pace of financial market reforms. Opposition to transnational free trade agreements must be strengthened. “New approaches to organising, building alliances and action strategies will require ideological and cultural change within trade unions, community and civil society organisations. Since ‘business as usual’ is not a viable public service option, neither is it an option for organisations opposing austerity and neoliberalism”. False Economy, September 2014. Documents why austerity failed and its disastrous economic and social effects in Europe and North America and highlights why Australia should not adopt these policies. Government debt continued to increase, reduced demand intensified the recession, negative or weak growth prevailed and the private sector failed to invest. The cost of lost output, reduced wealth, mass unemployment and government intervention runs into trillions in any currency. Austerity advocates were equally committed to embedding neoliberalism in the public sector and the welfare state and reconfiguring the role of the state. Prepared for the Don Dunstan Foundation and Public Service Association of South Australia and published by the Australian Workplace Innovation and Social Research Centre, University of Adelaide. Assesses the turbulent times for PFI under the Coalition government and the wider costs and consequences. A so-called ‘new era’ PF2 makes marginal changes, except for allowing public sector bodies to participate in equity transaction profiteering. It concludes by discussing the rationale underpinning Labour’s silence on PF2. This paper for the National Coalition for Independent Action's Inquiry examines neoliberal ideology and objectives and their role in the transformation of public services and the welfare state. The paper highlights ways in which voluntary sector organisations are being drawn into the commercialisation and marketisation of public services and the effects of a contract culture. In Place of Austerity uncovers the realities of commissioning, localism, ‘big society’ empowerment fraud, and the systematic undermining of public services and the welfare state. It perceptively exposes the scale of disempowerment, dispossession and disinvestment, and analyses the dominant rationale, which continues to underpin the financialisation and personalisation of public services, accelerating marketisation and privatisation on an unprecedented scale. This is a vitally important book for trade unions as well as for civil and community organisations. It provides a critical understanding of the issues and will aid their intervention in transformation and procurement of public services by forging strong alliances, taking industrial and community action, and advancing alternative policies. In Place of Austerity sets out a framework for policies that reconstruct the economy, invest in local economies, create jobs and rebuild public infrastructure. In doing so, it charts a new role for the state and offers a radical new public service management strategy. It is an equally important resource for all public sector employees. Incisive, timely and detailed, it is original in its research and analysis. Review by Dexter Whitfield of European Welfare States after the Crisis: Changing Public Attitudes (by Policy Network, Institute for Public Policy Research and The Foundation for European Progressive Studies) in The Spokesman, No. 120, May, 2013. A critical assessment of Compass's Plan B that reveals its shortcomings and need for a more radical and comprehensive socialist alternative, by Dexter Whitfield, Red Pepper Issue 182, Feb/Mar 2012. An eBook by Ian Ferguson and Michael Lavalette that examines recent developments in social work with adults, including the personalisation agenda, and critically discusses the prospects for adult social care in a context of never-ending austerity. Six respondents, including Dexter Whitfield, comment on the paper followed by concluding a reply to their comments by the main authors. Critical and Radical Debates in Social Work, Policy Press, €8.11. A paper written for Studies in Social Services, Li Bing, Vice Professor, Department of Sociology, Beijing Administrative College, China. Social services are at the forefront of the continued neoliberal transformation of public services and the welfare state in the UK. The paper applies the In Place of Austerity framework to examine the changes in social services. Paper in English and Chinese. “‘Payment by results’ has become the new performance management mantra. It is intended to incentivise contractors, with payment conditional on the completion of agreed outputs or outcomes. There are currently two such payment and reward models: the social impact bond mechanism and phased incentive payments.” This article examines the implications of this approach, the growth of ‘social markets’, incentive payment contracts and explains why it is a high risk strategy; pages 22-23, in Critical Reflections: social and criminal justice in the first year of Coalition government, Centre for Crime and Justice Studies, March 2012. Cutting through the coalition government’s rhetoric of localism and ‘community rights’, Dexter Whitfield exposes a strategy to further destabilise and fracture public provision, accelerating marketisation and privatisation. Public infrastructure in the 21st century is confronted with new challenges – adapting to climate change, meeting the economic, energy, water, transportation and social infrastructure needs of megacities in Asia, megaregions in North America, European city regions and older industrial areas. Public Private Partnerships (PPPs) and the global infrastructure market, financed by investment funds and pension funds, are fuelling a new era of public asset sales. Already, the refinancing and the sale of equity in PPP projects has led to the buying and selling of public assets furthering exploitation and profiteering. This is the first critical global analysis examines PPP programmes in the UK, France, Ireland, Germany, the US, Canada, Russia, Australia, China, India, Brazil and South Africa. 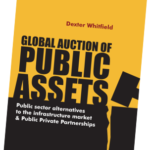 Global Auction of Public Assets proposes a new strategy for public investment. It sets out new priorities, radical changes in global financial markets, abandonment of PPPs and neoliberal ideology, new controls on existing PPPs, new public sector contracts and public management reform. It calls for alliance building and joint community/trade union intervention to develop a new, authentic, vision for public infrastructure. Dexter Whitfield author of ‘Global Auction, of Public Assets’, describes the damaging effects of so-called Public Private Partnerships in a detailed interview with the New Left Project in March 2010 . He outlines why they are a disastrous way to provide essential services and he details a democratic alternative to PPPs. PPPs - Partnership or Plunder? Soundings Winter 2010, Issue 46, pp99-111. Outlines the effectiveness of recent ‘reform’. It identifies key challenges beyond 2010 and proposes strategies to achieve progressive and systemic change. Shows how the development of a market-based choice and contestability model of modernisation will erode democratic accountability and have a negative long-term effect on democratic institutions. Legal Action, Journal of the Legal Action Group, March 2007. Examines how public services are being marketised and assesses the impact on legal services. A detailed study of the longer-term impact of changes in the design, structure and financing of PPP/PFI projects, external economic and political drivers such as growth of the secondary market and government modernisation policies, and the effect of economic, social and employment change. The report also examines PPP/PFI performance, democratic accountability and transparency, the impact on jobs and concludes with an assessment of alternative public sector investment strategies. The Marketisation of Teaching PFI Journal No 52 The April 2006 issue of the PFI Journal contains an article by Dexter Whitfield which examines the potential impact of the Building Schools for the Future programme on education. New Labour is creating markets in public services on an unprecedented scale. Education, health and social care, children’s services, housing, planning and regeneration, the criminal justice system and the welfare state are all being marketised. Privatisation inevitably follows marketisation, eroding democratic accountability and embedding business interests. The impact will be far reaching. Any benefits in terms of economic, social and sustainable development that are gained through regional strategies and city regions could evaporate if market forces are allowed to run rampant across the public sector. Alternative policies and strategies must build on the support for democratic governance, social justice and the welfare state. As this timely book makes clear, action by alliances of trade unions, community organisations and civil society organisations is urgently required. Spokesman Books, April 2006, 176 pages, £11.99 (bulk rates available) Download leaflet and order form: Available from bookshops, Amazon or direct from publisher. PPPs - Where Will We Be By 2010?, Dexter Whitfield, Public Management and Policy Association Newsletter, No.16, February 2002. This short article addresses the absence of any serious public debate on the longer-term consequences of Private Finance Initiatives (PFIs) and Public Private Partnerships (PPPs), outlining the huge problems and uncertainties which seem likely to materialise from such projects. By John Spoehr, Dexter Whitfield and John Quiggin for the Public Service Association of South Australia (2002). Discusses the basics, origins and rationale of PPPs, draws on the lessons from the British and Australian experience (55pp). Demonstrates how a new era of privatisation is emerging and how this will impact on education. A comprehensive analysis of key issues confronting public services and the welfare state in the global economy. Provides a radical analysis of modernisation including partnerships, private finance and Best Value; analyses how the state facilitates globalisation by promoting private finance and the marketisation of public services; exposes how the Third Way masks the continuity of neoliberalism; demonstrates how the World Trade Organisation is committed to privatising public services and welfare states; charts the emergence of a Corporate–Welfare Complex; promotes a revitalised role for the state in a new system of global governance, stressing the importance of sustaining and improving the welfare state; advocates a dynamic new model of public service management placing priority on innovation, equality and investment as an alternative to the reinvention and performance management models. ISBN 0-7453-0856-2 Pluto Press, London, 2001 314 pages. Patrick Ainley, University of Greenwich: Education and Social Justice 3.2, 2001 - "Dexter Whitfield's book is essential reading for all public sector workers...."
Colin Leys, Red Pepper, April 2001 - "The great value of Whitfield's book is that it also traces the logic of globalisation in the ongoing transformation of the state today, and not least the continuing privatisation, in one form or another, of more and more of the services it used to provide." Sanjiv Sachdev, Kingston Business School. Transfer: European Review of Labour and Research 2/02 "...a clear, powerfully argued, provocative work that is extremely useful to anyone seeking to counter the alleged superiority of private-sector delivery of public services." Andy Wynne, Association of Chartered Certified Accountants - "...provides further argument for the need for a new model of public service management that places priority on innovation, equality and investment"
Examines the evidence of secret government plans to privatise the UK coal industry, parts of which had already been privatised. Seven private coal companies operated half the opencast sites accounting for nearly three-quarters of site production. Researched during the 1984/85 coal strike, it shows how the privatisation of coal mining was on the political agenda of several right wing organisations. Examines UK privatisation in the context of the sale of public assets in Latin America, Australia, New Zealand and the Middle East and how transnational companies are reorganising to exploit the internationalisation of privatisation. 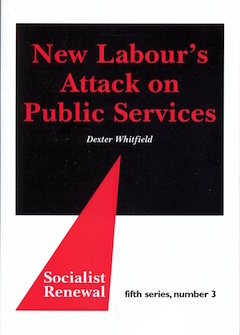 The Welfare State: Privatisation, Deregulation and Commercialisation of Public Services: Alternative Strategies for the 1990s Dexter Whitfield, Pluto Press, London, 1992. Out of Print. Includes the need for public services, demands of a capitalist economy, the political economy of privatisation, deregulation and commercialisation, new forms of control, the need for new strategies, controls on capital and organising and action strategies. 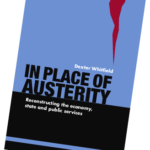 Michael Barratt Brown, European Labour Forum, 1993 - "Dexter Whitfield has pulled off a major success with this book, which will make a fitting and commensurate tombstone for the Thatcher years." Local Government Policy Making, Vol20, No. 3, December 1993 - "Few people could have dealt so comprehensively with the far-reaching changes which have been taking place in the field of public provision." Public Services International, PSI-INFO 3/1992 - "'The Welfare State' is detailed and extremely well researched analysis of one of the greatest confidence tricks ever engineered by a government." Tony Jeffs, Youth and Policy, The Journal of Critical Analysis - "...does not feel obliged to seek out the spurious tightrope of objectivity. Instead he offers an unrestrained attack upon the privatisation of public assets and welfare services. This is both a work of reference and a guide to action." An overview of the global sell-off of public assets and services, the growth of new markets with increased levels of commercialisation. Transnational companies dominate and exploit migrant labour. The lack of a coherent labour movement strategy and the Labour Party’s acceptance of dual provision are discussed. Draws on the lessons from anti-privatisation campaigns and proposes a seven-point strategy. Identifies the various forms of marketization and privatisation and their impact on services users, jobs, democratic accountability and the public cost of competition. Concludes with an assessment of the impact on trade union organisations and their responses to municipal privatisation. Pluto Press, London, paperback, ISBN 0-86104-509-2 - Out of Print. Exposes the scale and scope of the Thatcher privatisation drive, the new right and multinational offensive, the effects of privatisation on workers, users and services and proposes a political strategy for public services and a seven-point action strategy. 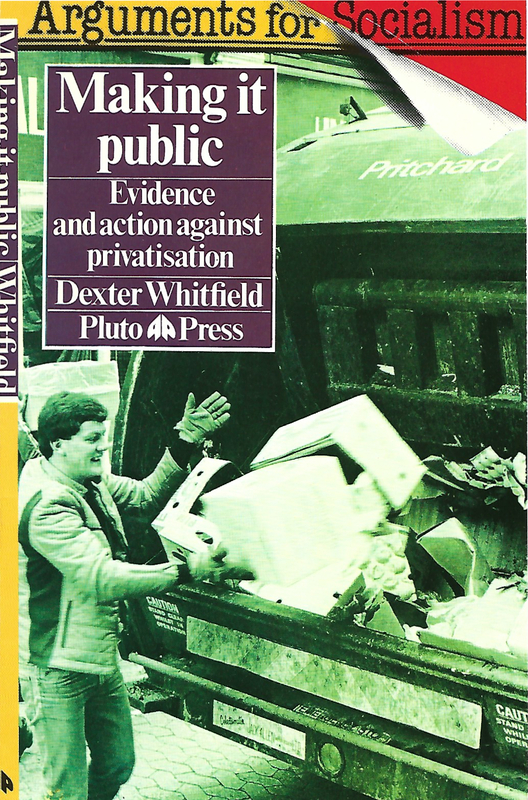 David Berry, New Statesman, 9 September 1983 - "...his case against Tory policy on privatisation is made with passion and clarity".....it's an excellent book, a model of its kind. Labour Research, August 1983 - "...contains a brief but fascinating history of the development of public services in Britain.....Best of all are the final two chapters, which contain a wealth of ideas on how to fight against privatisation - and equally crucially, for public services"
Eileen Phillips, Marxism Today, September 1983 - "I very much liked the combination of of tackling contradictions within the welfare and pursuing ideas for campaigning activities"
Russell Surry, Chartist, January/February 1984 - "This book is essential reading for everyone in the Labour movement"